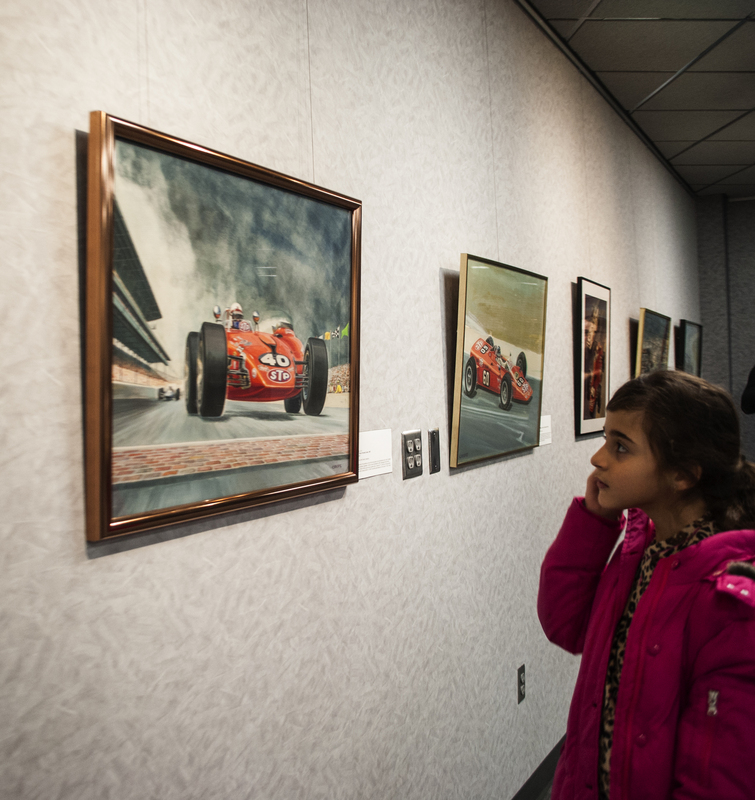 The Indianapolis Motor Speedway Museum proudly announces it has acquired a number of original motorsports-themed works of art painted by the distinguished fine artist John C. Orfe III. Many of Orfe’s incredible works were featured in a one-artist show at the IMS Museum’s gallery during its inaugural art exhibit in 2017-18. “We are extremely excited and honored to have the Orfe family entrust us with Mr. Orfe’s original paintings,” said Betsy Smith, executive director of the IMS Museum. “Our professional staff is dedicated to preserving and diversifying our collection of IMS, Indianapolis 500, and relevant global motorsports artifacts, and Mr. Orfe’s passion for racing comes through in these prized works authentically and colorfully painted. A sampling of Orfe’s works acquired by the IMS Museum depicts auto racing legends such as Mario Andretti, Mark Donohue, Parnelli Jones, and Joe Leonard, as well as famous race cars covering multiple eras, from 1920s Millers, to the 1952 Novi Pure Oil Special, to the late 1960s Andy Granatelli STP-sponsored turbines, to the unforgettable 1982 duel between Gordon Johncock’s Wildcat and Rick Mears’s No. 1 Gould Charge Penske/Cosworth. The Museum also acquired Orfe originals of early NASCAR racing on Florida’s famed Daytona Beach, plus two large watercolor/gouache paintings of the 1936 and 1937 Vanderbilt Trophy Cup races. Orfe was born in Philadelphia and began a life-long love affair with motor racing in 1932 upon seeing his first race at the renowned Langhorne (Pa.) Speedway. After attending the Philadelphia Museum School of Industrial Art and serving in World War II, Orfe established a reputation in the field of commercial art, specializing in automotive and aircraft design for Ford, Chrysler, Volkswagen, and Boeing. Nationally known auto racing magazines, such as Open Wheel, Circle Track, and Speed Age, featured Orfe’s memorable auto racing paintings as centerfolds and on their covers. Orfe retired in 1987 and moved to Charlottesville, Va., where he continued to paint stunningly detailed historic auto races, including several acquired by the IMS Museum. He died in 2011 at the age of 89. For information on IMS Museum memberships, tours and special events, and exhibits, please visit our website at www.indyracingmuseum.org, contact the museum at (317) 492-6784, or find us on Twitter, Facebook, and Instagram.